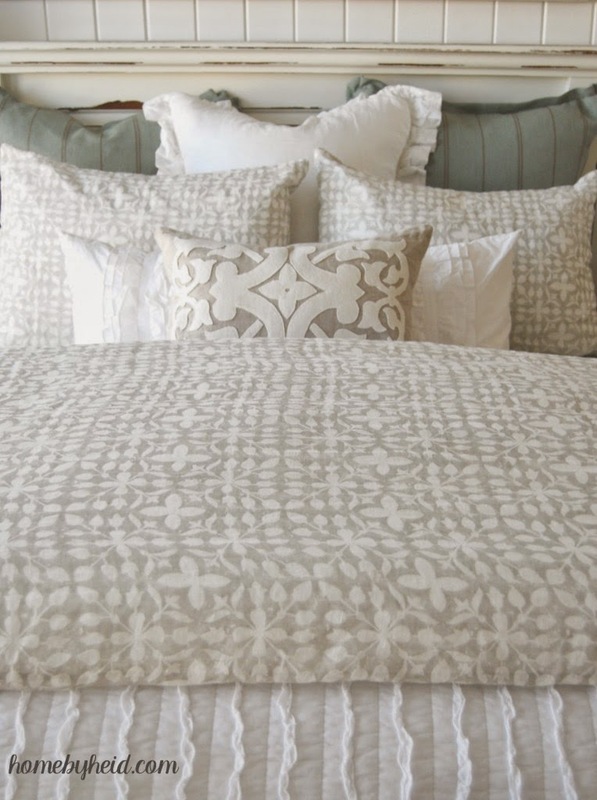 I just ADORE beautiful bedding!!! Whenever I step into Pottery Barn, or Home Goods, the bedding section calls out to me! 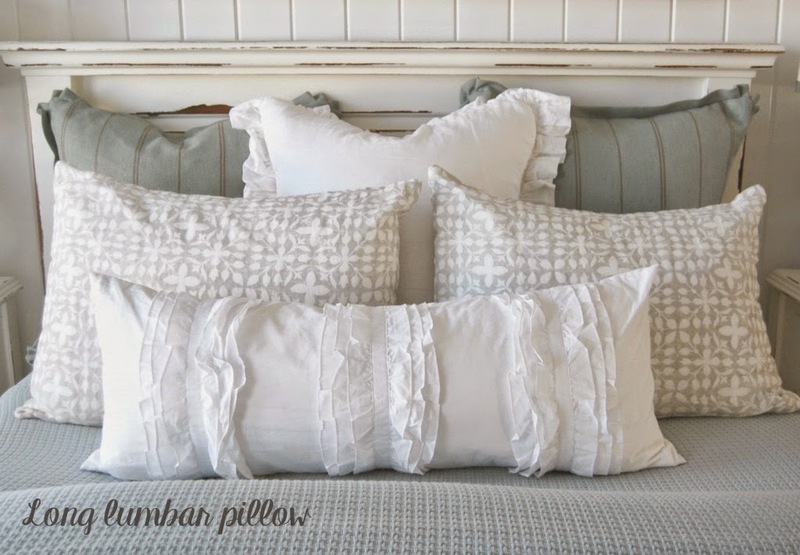 I think I might need an intervention because I have a “pillow problem” is there such a thing? The search for the perfect duvet, quilt and pillows is always high on the list for beds! 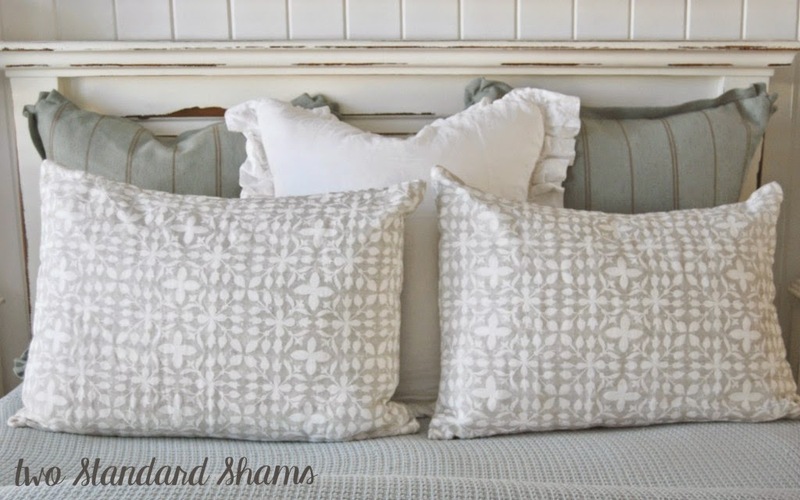 Being in love with bedding and putting bedding pieces together for just the right amount of texture, size and flow can be overwhelming at times. 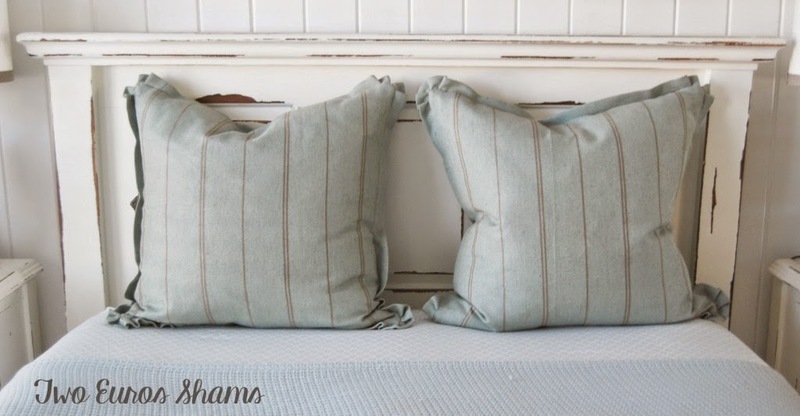 So I’m excited to share one of my favorite ways to display pillows on a bed. 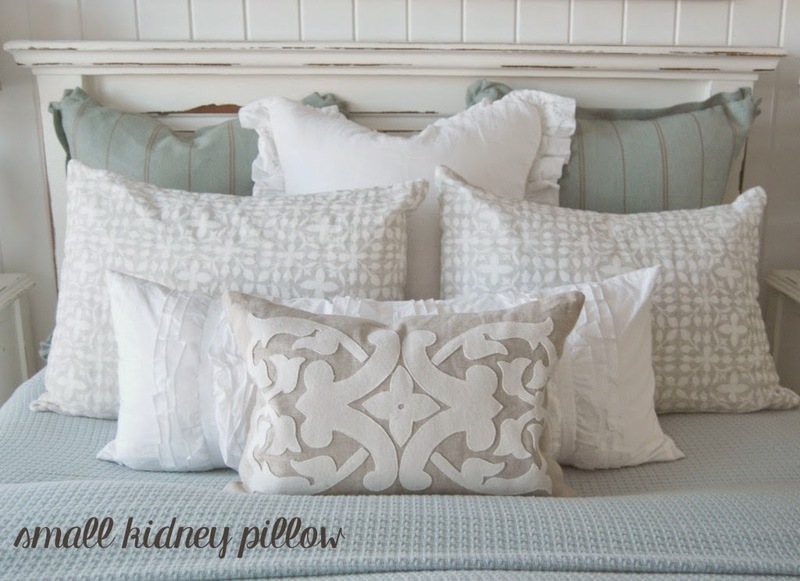 In my home, I work with a queen bed, but you can transition this same display on a king just by adding a few more pillows or king-sized ones. Not too hard! And Ooooo so PRETTY!!! Your bedding is beautiful, Heidi. 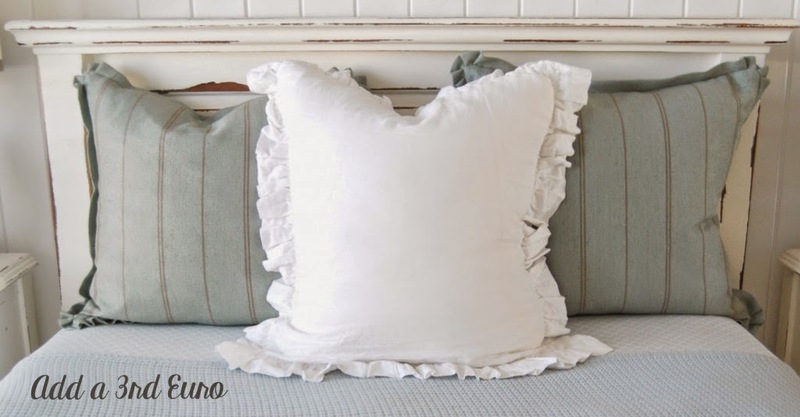 I especially like your long lumbar pillow with those pretty ruffles! love this, but where are the pillows you put your head on at night? We love this bed frame and looked on bramble but could not find it. Do you know where to find it or how to better search for it? Thank you!